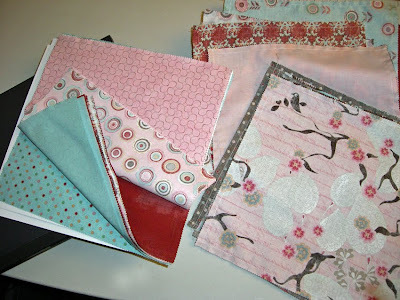 My first sewing project since I am back home is going to be the Moda Lap Quilt In a Jiffy! I already have the light / dark blocks sewn together. I'm hoping to be completed with the top by the end of the weekend. Here's the work in progress so far. The colors will make a great Valentines quilt to stay warm with. 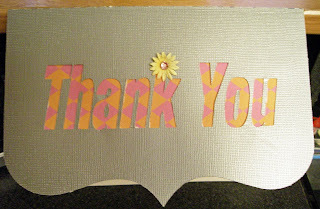 I've also been working on Thank you cards to send to various people that have helped out over the last couple of weeks. I look forward to being creative and having the supplies close by!! Here's my first one that I cut out using my Silhouette Digital Craft Cutter. I love the strippie quilts as a quick and easy project. They are so appreciated by those that get them and I also make one and send another to the local charity.